BRIG Boats are hand built in Europe, and finished to very high standards. BRIG is the number one and best selling brand across Europe, the United States, Australia and New Zealand. 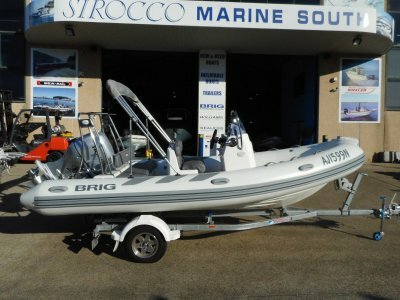 The BRIG Eagle range offers high spec watersports ribs with deep V hulls for open sea stability. BRIG Boats have been tried, tested and continually evolved over the last 23 years. 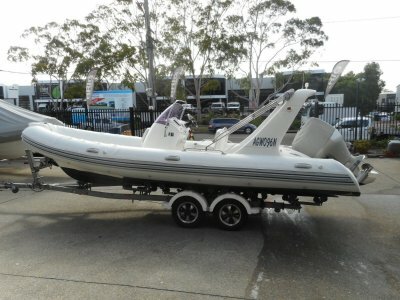 The 650 is the baby in the Eagle range and was designed specifically as a luxury sports tender. It is extremely comfortable and dry for its size even in heavy seas with the deep V hull cutting through waves. 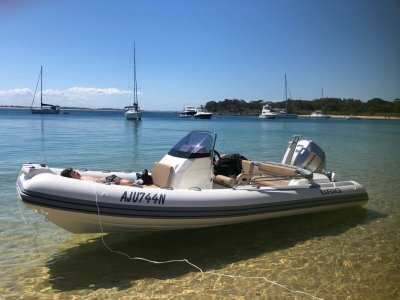 The Eagle 650 soft riding, self draining and super safe in rough water and delivers a level of safety you can only dream about in a normal tinnie, or fibreglass boat. The Eagle 650 tube quality is world class sourced from France the fabric is called orca and is high quality Hypalon it is available in a range of colours including black, red, blue and white. The Eagle 650 is rated to 13 people because of the high level of buoyancy inherent in the pontoon tubes. 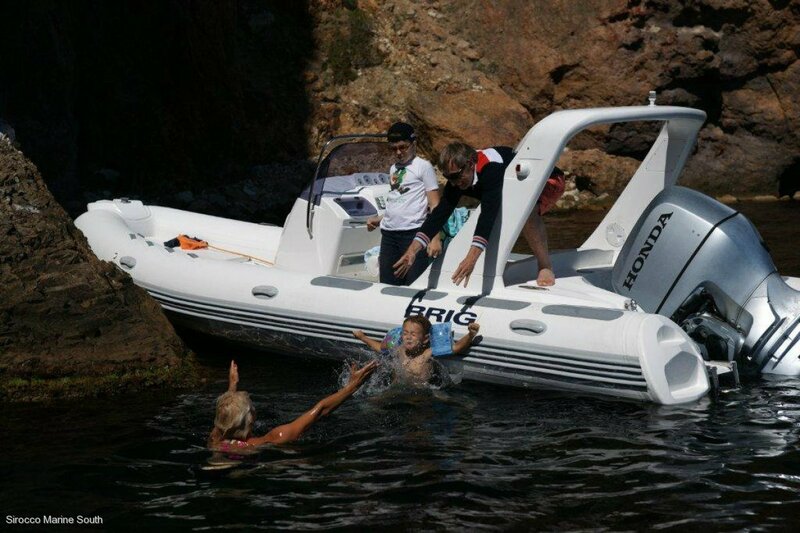 The BRIG has a full range of optional extras so that you can customise your boat to suit your exact requirements. 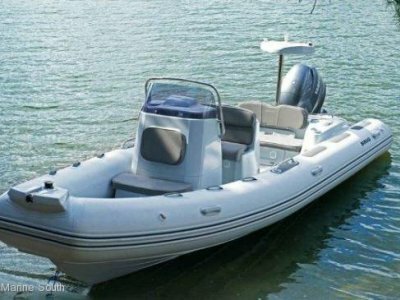 BRIG inflatable boats are designed and built in Europe by a dedicated team of specialist ex-military aeronautical engineers. The boats are hand built and finished to very high standards with each stage recorded and quality checked for total accountability. The best materials are sourced from around the world and all boats meet or exceed ISO, EEC Standards. BRIG has challenged conventional design by applying new aero and hydrodynamic theory to traditional ideas. This has seen a marked improvement in performance and seaworthiness. Brig Europe's leading inflatable boat brand. * Dimensions do not include engine dimensions.